Tis the season to make your Cha Cha Forward Lock awesome! “But what about my back locks?”, you may ask. Well, one thing at a time young padawan! 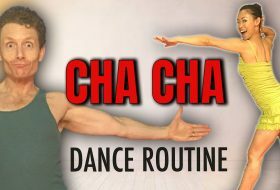 As you are practicing, be sure to check that you are doing your Cha Cha Locks the correct way with this handy guide! 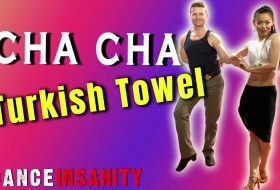 ​PS: Forward Locks are also called Chasses, take a look at all the chasses that are used in the International Cha Cha dance style here. ​When your foot moves, bend that knee. The Heel of the Back Foot stays off the floor throughout the Forward Lock step. Keep your Toes on the ground. The front foot will have a Toe, Ball, Heel lowering action for the 1st and 3rd steps of the Lock. Keep your Knees/ Inner Thighs close for the 2nd step of the Lock. Hips rotate in opposition to the leg you are moving. i.e. : Moving the right leg forward, left hip rotates back and vice versa. Bouncing in Cha Cha is not cool! Visualize keeping a pail of water on your head and not letting it spill. 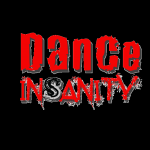 Since the Cha Cha Forward Lock is EVERYWHERE, get this down and you will see tremendous improvement in your cha cha dance. It’s always a good idea to give yourself time for slow technique practice, where you are not worrying about the music or performance. Then, spend time on musical practice where you work on incorporating these techniques to the music. Doing it a toe lead is unnatural? Doing Hip Action is unnatural? Thinking to yourself: “Why didn’t my mom give birth to me this way? Dang it.” Oh well… I guess you’re just like the rest of us! So, here are 5 exercises, only 5 minutes a day that can strengthen, increase flexibility, and help improve those “unnatural movements”. Guilty of any of the above mistakes? Drop me a comment below! Thanks for the comment, Shannon! I like the way you put it: Leaving the Door Unlocked! hah. 🙂 Good for #5. Thanks for the ChaCha Technique tips.You’re a wonderful dancer and instructor.